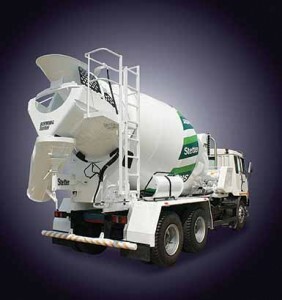 With infra projects accelerating, Schwing Stetter is looking at a rise in demand for transit mixers. Schwing Stetter India is looking at a good uptake in transit mixers as infra activities accelerate. The company is looking at leveraging its decades worth of experience to support the growth in demand for transit mixers. Manufacturing the transit mixers at a world-class facility at Chennai, Schwing Stetter offers transit mixers in C, C2 and N version. They are a part of the transit mixer range the company offers the world over. Proven reliable all over the world, the transit mixers the company offers are characterised by low maintenance technology according to sources close to the company. Claimed to be technologically advanced and modern in terms of design, the transit mixers are simple to handle and cost effective to maintain. Claim sources that the transit mixers help to reduce the time it takes to fill, discharge and clean. This helps the customers to save not just time, but also money. Available with mechanical or electronic control units, the transit mixers offer the buyers and users a choice to choose the transit mixer suiting their requirements. Offering high loading volumes with the virtue of having a high water line, the Schwing Stetter transit mixers are engineered to meet the demanding requirements of today’s users. With project demands changing in nature, and the time to complete the projects shrinking, a reliable machine is only the basic requirement. The other requirements include speed of operation, efficiency and low cost of ownership. The Schwing Stetter transit mixers not only fulfill the demanding requirements of users in terms of operational speed, efficiency and lower cost of ownership, they also make it easier and safer to work in an environment that is no less risky. Made from reliable drive components, which guarantee smooth operation, the transit mixers, available with a nominal volume of three to 12 cubic meter with the option of a slave engine, or with power drawn through a PTO, are available in numerous models to suit the exacting needs of the operator. While the low centre of gravity of the mixers helps them to possess optimum drive characteristics, the feed hopper, discharge funnel and swivel discharge chute are designed with wear resistant plates for an optimum TCO. Equipped with 5 mm mixing spirals in the main wear zones, and Stetter T-protect wear protection (30 x 8 mm) on the mixing spirals, the transit mixers not only last long, they also make highly efficient machines. The compact design of the transit mixer adds to their efficiency count, making them one of the most efficient transit mixers on offer according to sources close to the company. 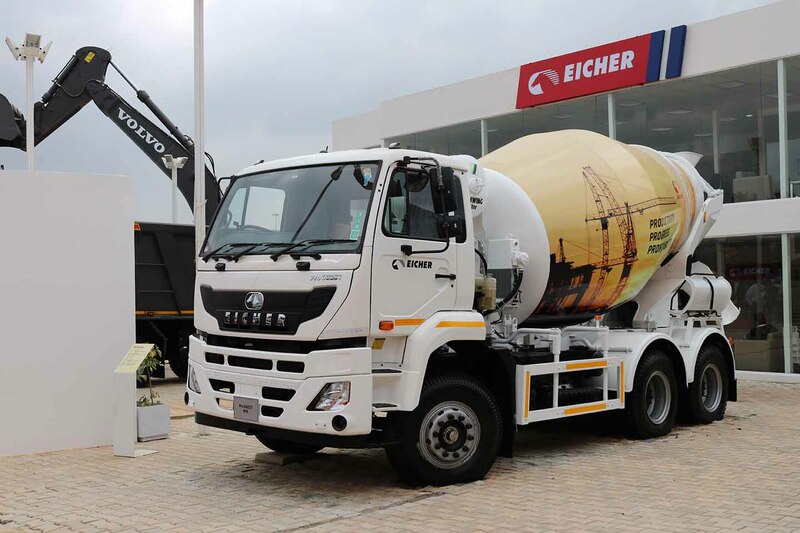 Offering high fuel efficiency due to their compact build and balanced weight distribution, the Schwing Stetter transit mixers also help to lower the maintenance cost of the truck. The overall maintenance is much lower state sources. They draw attention to the usual routine, which includes change of engine oil and washing of the drum. It is all that it takes, they explain, to keep the mixer running for years. Backed by a strong support network, the experience of opting for a Schwing Stetter transit mixer is made positive by their ability to mount on a large variety of truck chassis. Capable of being mounted on the most sophisticated or the most modern truck chassis, the transit mixers the company offers have a large service network to look up to. The large service network of more than 300 skilled service engineers is one of the key pillars of the company that traces its roots to Germany. These engineers are highly skilled and attend to the numerous needs of the market, and the customers. They offer the best possible support according to sources close to the company, and are a force to reckon with. It is they who are contributing to the sustainability and growth of the brand add sources. This statement does not come as a surprise. The presence of Schwing truck mounted transit mixers is had from their high visibility in most parts of the country. It is a reflection of the confidence the company has in its products, and also of the customers who are happy with the prospect that their transit mixers are working efficiently, and profitably.